You said “first 6 months of this year, JHS 1st years” read 16,885-111,509 words. How many books per students is this? 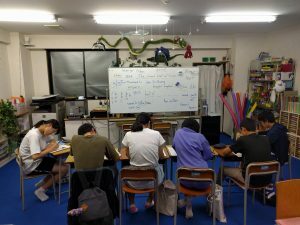 And, what percentage of those students had prior English/EIKAIWA experience? I don’t track book numbers (don’t find it a very useful metric) and our students read each book four times at the lowest level. The student that read the most (111,509 words) has read about 350 separate titles. Every time you post, the news gets better and better. I am so tempted to take the plunge myself, but for a lack of funds (:. I will have to go back in your blog entries to remind myself of exactly what your output lessons are doing, but I love the input that the reading affords.